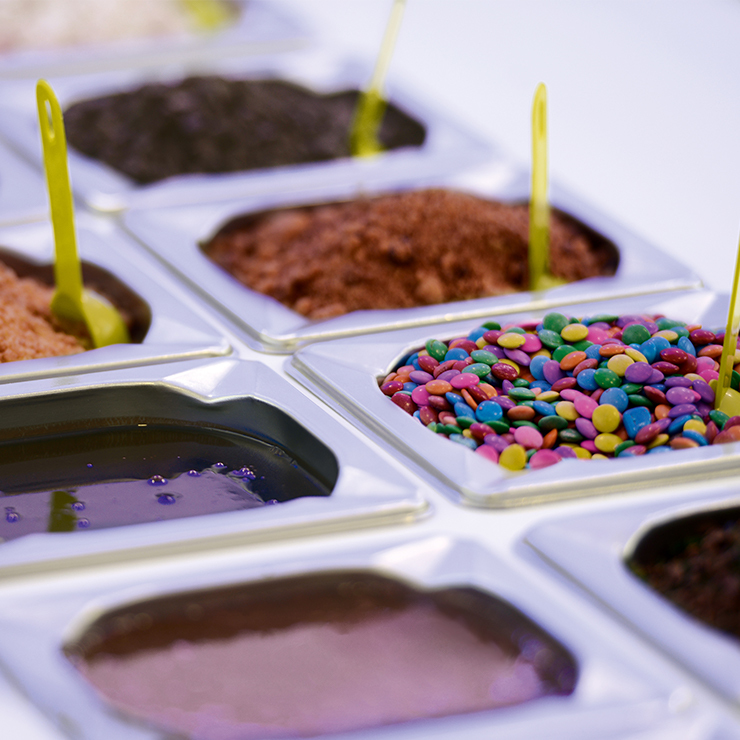 Our wide variety of toppings perfectly complement our soft serve frozen yoghurt flavours. With everything from jelly drops and cookie crumble to Turkish delight and blackberry fruit sauce, there’s something to tantalise every taste bud. Our toppings include: Choc Chips, Choc Crumble, Choc Fudge Sauce, Choc Mint, Cookie & Fudge Crumble, Cookies Crumble, Fudge Crumble, Jelly Beans, Jelly Drops, Mini Astros, Oreo Biscuit Crumble, Raspberry Sauce, Mini Smarties, Sprinkle Nuts, Toffee Fudge Sauce, and Turkish Delight. Our Toppings are carefully selected to complement our range of soft serve products.